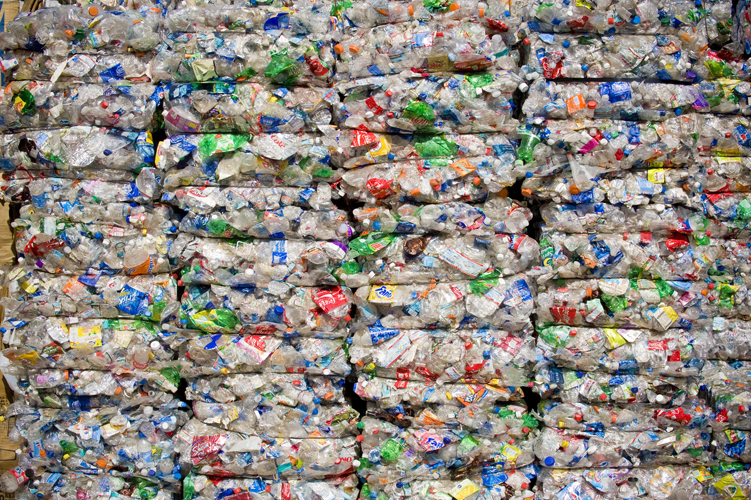 Plastics are all made in a similar way, but can be manipulated to have very different functions. Discover how their properties are determined. Plastics are synthetic materials called polymers. 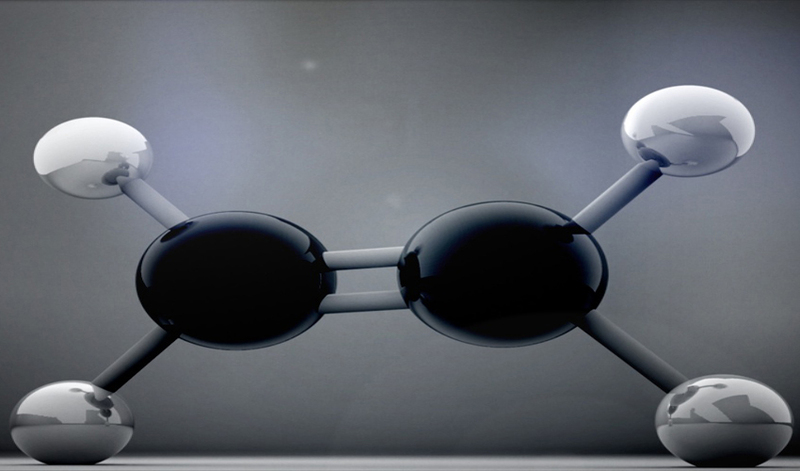 Polymers are made of small molecules called monomers obtained from crude oil. The plastic's properties depend on how the polymer chains are arranged. 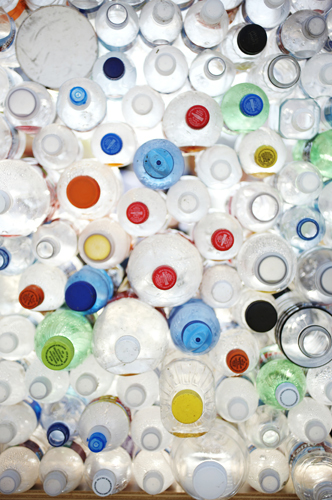 Plastics are used in an enormous variety of products like bags and milk bottles. From toothbrushes to telephones, straws to spaceships – plastics are used in an enormous range of products and have been for the last 150 years. Though they can have very different properties, they are all synthetic materials called polymers – made in a similar way. 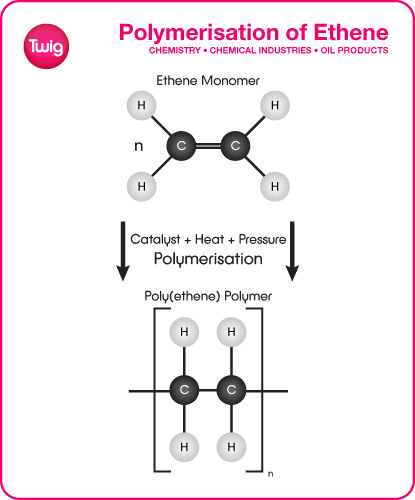 The building blocks of polymers are small molecules called monomers, obtained from crude oil. 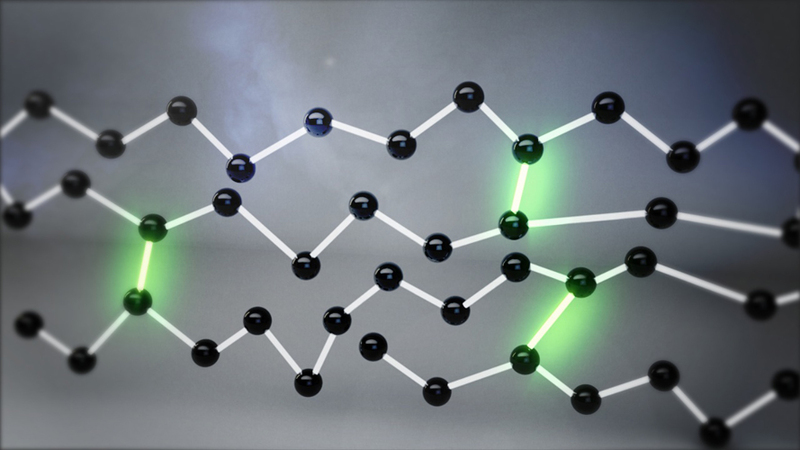 The carbon atoms are joined by double bonds, but these can be broken to create single bonds – free to join other carbon atoms and form long chains called polymer molecules. This process is called polymerisation. 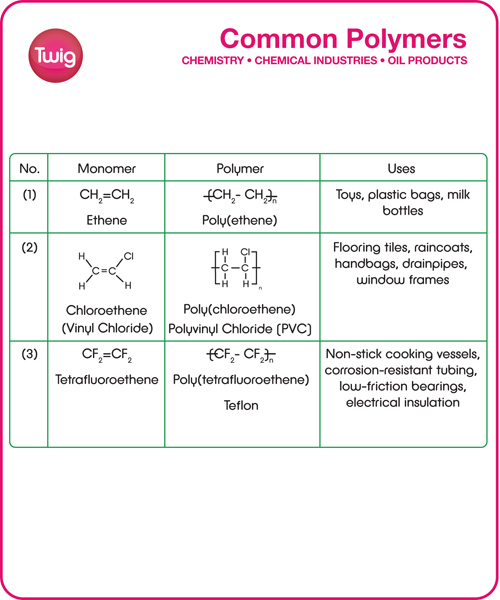 And the resulting polymers are the main components of plastics. Plastics often take their name from their component monomers. So ethene becomes polyethene, or polythene. Similarly, styrene becomes polystyrene and propene becomes polypropene. The reason plastics have different properties isn't just because they are made from different monomers. It's also down to how their polymer chains are arranged and held together. It's rigid, strong, and used to make plastic milk bottles. But branched polymers cannot pack so easily, so the density is low, and this lighter, flexible material makes plastic bags. 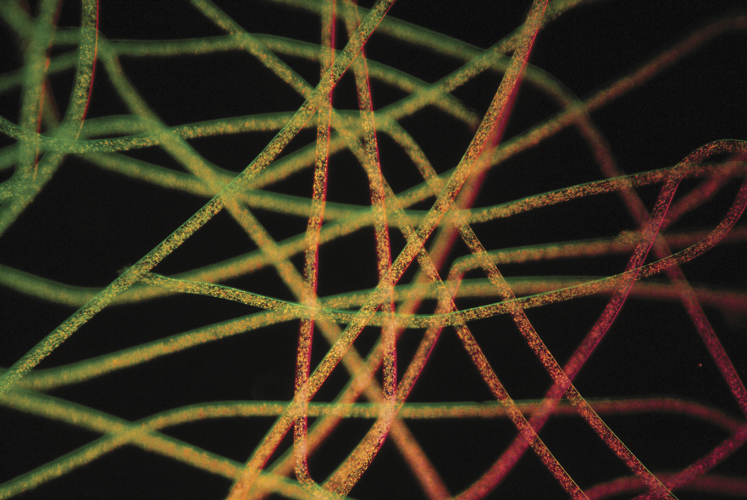 The force of attraction between polymer molecules also has an effect. The stronger these intermolecular forces, the tougher the plastic is, and the higher its melting point. 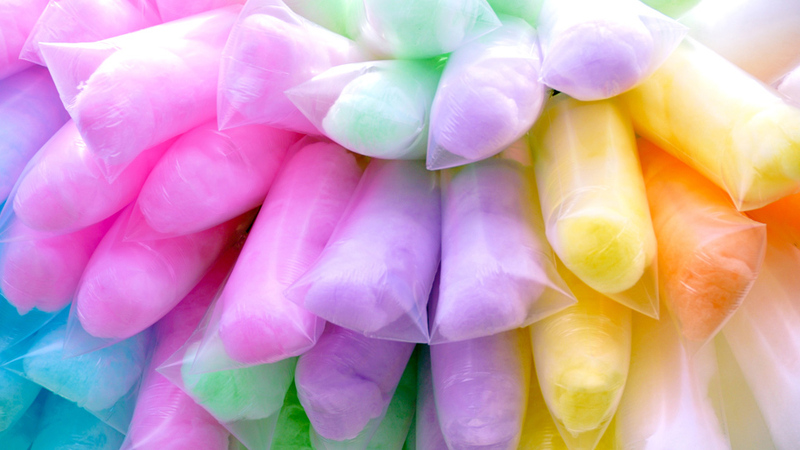 Polymer properties can be changed by adding certain ingredients. 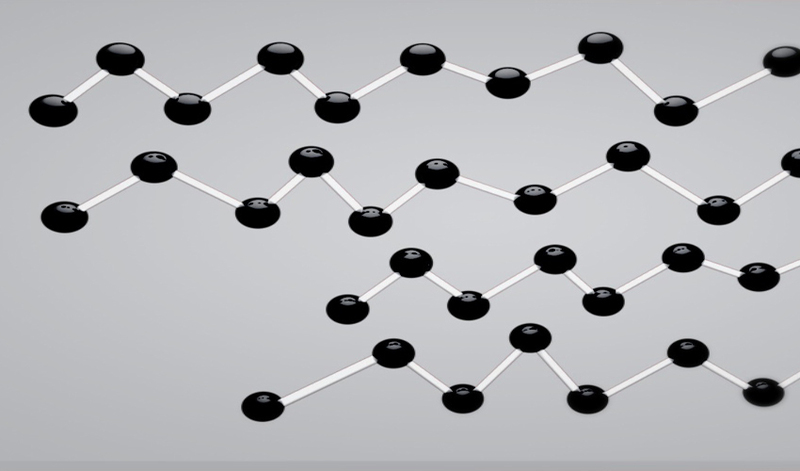 Cross-linking agents create strong covalent bonds, between adjacent polymer chains, making the material stiffer, stronger, and more heat resistant. Plasticisers on the other hand, make the material bendier by getting in between the chains, and weakening the forces of attraction between them. Synthetic polymers have only existed for about 150 years, but it's hard to imagine a world without these amazingly versatile materials.